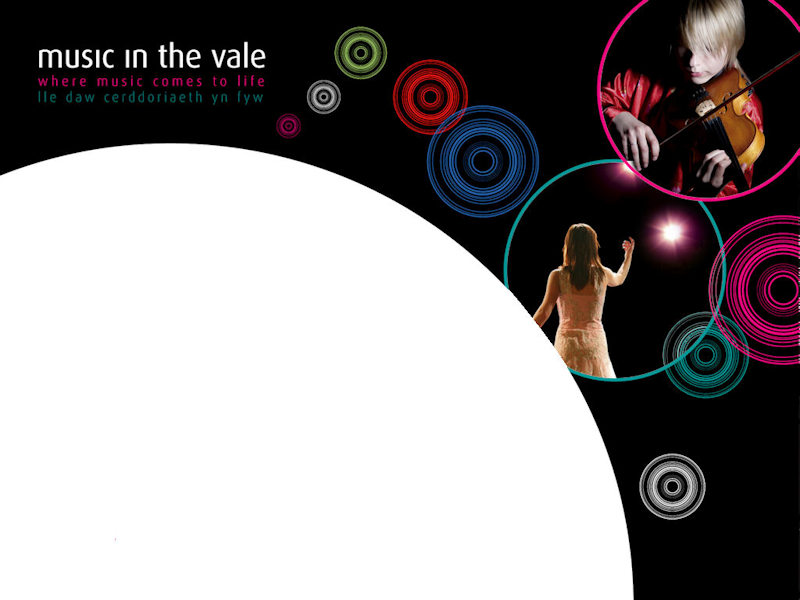 Music in the Vale has been very fortunate to have had the support from the Adjudicators listed below in 2009. Michael Parkin is a composer, educationalist and freelance teacher. After composition studies with William Mathias and Jeffrey Lewis at UCNW Bangor, he took up lecturing posts in composition and studies in twentieth century music at Huddersfield Polytechnic and then later at St. John's College in York. He has lived in Pembrokeshire since 1991. Throughout his career he has been invited to direct workshops and music projects - over 800 to date and mainly in the north of England and funded by organisations such as Yorkshire & Humberside Arts, Nottingham Firebird Trust, York, Leeds and Sheffield city councils, the Yorkshire Dance Centre, York Film Centre and the Tippett Foundation. Drawing on his wide experience of theatre and dance, many of these workshops and projects were of a mixed media nature and included innovative collaborations with artists such as John Kerr, dancers Tony Thatcher and Susie Ater, theatre directors Annie Castledine and Chris Wallis and a music and film project with Michael Nyman. Current work includes a project for music and film at the Wales Millennium Centre and a long-term project in schools in Swansea to guide young children through their first steps in composition. His work is frequently broadcast and widely performed in Britain, Europe and the U.S. Prizes include the Yorkshire Arts Young Composers' Competition (1978), the MidNAG award (1979) and the 1996 Match TM Composition Award. His work 'Elegy' for solo flute was one of only two British works selected for the 1984 Gaudeamus International Musicweek in Amsterdam. He is a current recipient of an ACW Creative Wales Award. Peter Reynolds is a composer, writer and lecturer on music living in Cardiff. He has been particularly active for a number of years in South Wales promoting the performance of music by contemporary composers and has been Artistic Director of PM Ensemble and Artistic Director of the Lower Machen Festival. He was also Administrator for the Vale of Glamorgan Festival (2000-04) and devised, set up and programmed a series of free foyer concerts given at Wales Millennium Centre, the only one of its kind in Britain with some 500 performances per year (2004-07). He has also been a part-time member of the academic staff and Composition Department at the Royal Welsh College of Music and Drama since 1994. In January this year the BBC published his book on the history of the BBC National Orchestra of Wales. Having completed a science degree at the University of Wales, Cardiff, Alun John won a piano scholarship to the Guildhall School of Music in London where he studied piano and conducting. A short period of teaching followed, before joining the BBC. As a music producer, Alun produced programmes with the BBC Welsh Symphony Orchestra, chamber music ensembles, solo recitals and series of programmes with young artists, for Wales and London. A highlight of his BBC career was receiving a Sony Award for one of the best recorded music programmes. In addition to his BBC career Alun was conductor of the Morriston Tabernacle Choir for nearly 30 years, founder conductor of Côr Meibion De Cymru and worked with choirs in Melbourne Australia. He has also been guest conductor with major symphony orchestras. In 1997, he was appointed conductor of Bridgend National Eisteddfod Choir, which was later reformed as Côr Bro Ogwr. He has wide experience as an adjudicator in the UK and abroad, including music festivals in Suva, the Fijian islands and Malta. He initiated the Texaco Young Musician of Wales competition and is now Chairman of the Adjudicating Panel. In 2003, he was made an Honorary Fellow of the Royal Welsh College of Music & Drama for the “distinguished contribution made to his profession”. He is also a trustee of the Ryan Davies memorial Fund, which supports postgraduate students in music, drama and theatre. Mair Roberts was born and brought up in London and trained at the Guildhall School of Music and the Italia Conti Stage School. She worked for several years in theatre, cabaret and pantomime in and around London working with people like Cyril Fletcher, Jimmy Perry, Anthony Newley and Ruth Madoc. It was television that took Mair to Cardiff working with Ryan and other well known personalities. She settled in Cardiff and continued to work in television while bringing up a family. At this time she also formed a mixed choir, Cantorion Creigiau and is still its soloist and Musical Director. The membership is around 85-90 and the choir gives concerts every fortnight and has toured abroad regularly to Brittany, Italy, Ireland and Vienna. It has also been successful in winning numerous competitions both at home and abroad including the National Eisteddfod of Wales. Side by side with this she was carving out a career as a soloist giving many concerts with leading choirs such as Pontardulais, Llanelli and Treorchy Male Voice Choirs.